AUCKLAND, New Zealand - Auckland City FC returned to the top of the ISPS Handa Premiership following Sunday's 3-1 win over Tasman United but still have work to do. The Navy Blues went three points clear following their second win on the trot but coach Ramon Tribulietx identified areas he felt needed to be improved. "We had good moments with the ball sometimes but there were moments when we somehow struggled to break down the situation the opposition set up for us. "We have new players out there who are still learning how to play possession football and what that means. 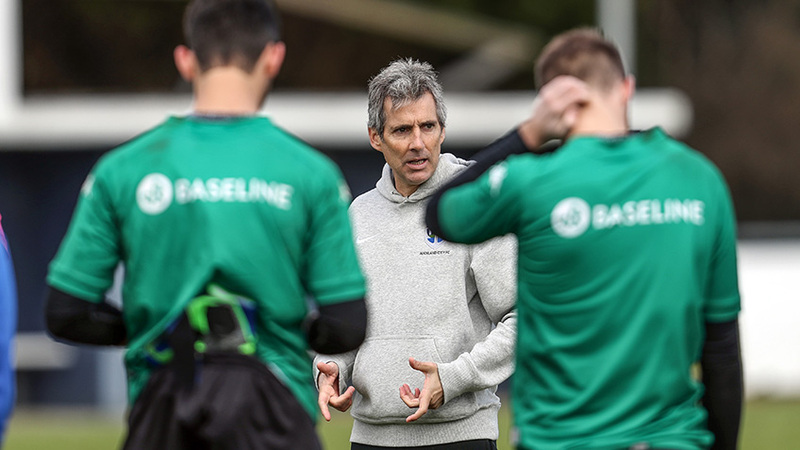 "In possession football you are constantly proposing to the opposition so you have to find solutions to what they set up for you - we are always the team constructing and reaching that understanding always takes a little longer to achieve with new players. "We have to be happy with the result, we didn't really give Tasman United too many real chances and we also scored an own goal. "We have to keep going and build on what we are doing. "We'll analyse the match and we're in a learning process and we need our new players to understand what we are trying to do and I would anticipate that our approach will be very similar next Sunday when we face Southern United," he said. The Navy Blues next match is away to Southern United next Sunday.